Guinea pig, Cavy or domestic guinea pig, are all names of a species of rodent that its scientific name is Cavia Porcellus. The origin of the guinea pig’s name is not entirely clear since these animals are not from the pig family, nor do they originate from Guinea. In fact, its origin is in the Andes (Andean Mountains). Perhaps this name was given to them because they look somewhat like pigs, due to the large head in relation to the body, the frequent eating habits, and even some of the sounds they make remind those made by pigs. 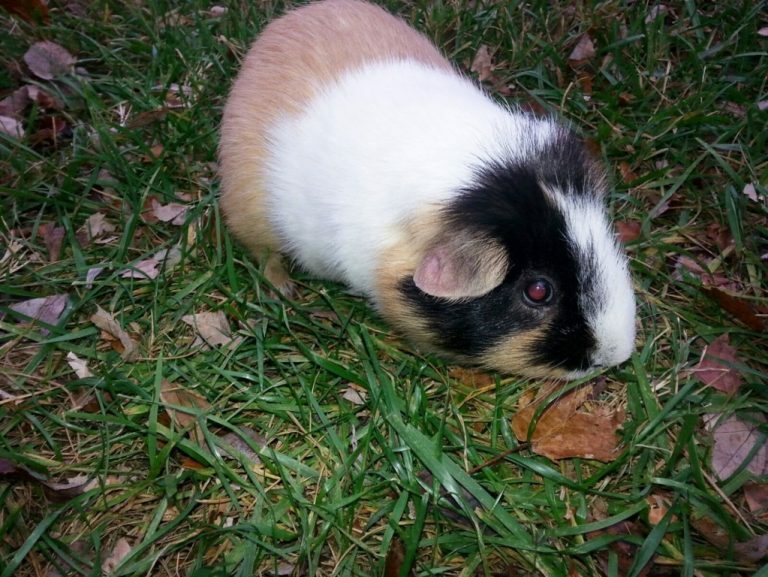 Nowadays, guinea pigs can’t be found in the wild and they are domesticated. The small adorable creature is popular as a house pet in Western societies, mainly due to the friendly nature and affectionate responsiveness, and the low maintenance that is required to raise them. Unfortunately, guinea pigs are also used for biological experiments, but not so much today as in the past. They are still being used in research though. Domestic guinea pigs usually live in cages. They consider large for rodents, and their average weight is 800-900 grams, and measuring between 20 and 25 cm in length. Four to five years is the average time they typically live, although some may live even eight years. Guinea pigs eat grass or alfalfa, and since they can’t synthesize vitamin C themselves (just like humans), they need a diet that obtains it, such as fresh, raw vegetables and fruits. Without vitamin C, they can suffer from fatal scurvy. In addition, guinea pigs don’t like sudden changes in diet, and may starve rather than accept new food types. They also need a constant food supply, otherwise they might chew their own hair, or even paper, plastic, etc. Find Guinea Pig and other Small Animals Equipment on Pets Boutique.